We love our beach home and you’ll see we spared no expense in making it a great beach vacation spot. 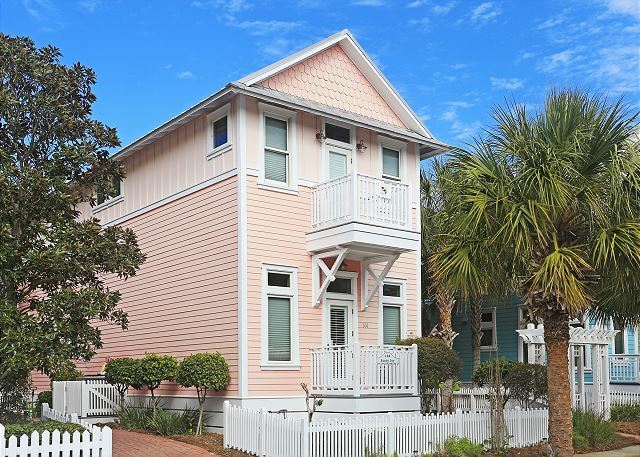 Our Florida Beach Cottage sleeps 8 and is located just a few steps from the pool and a short walk to the beach. 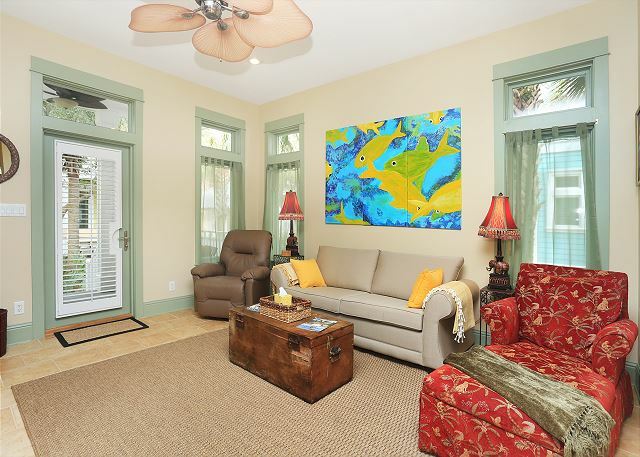 What makes this house very special is that it is situated in Carillon in a beach neighborhood that offers you everything you want in a great beach getaways. 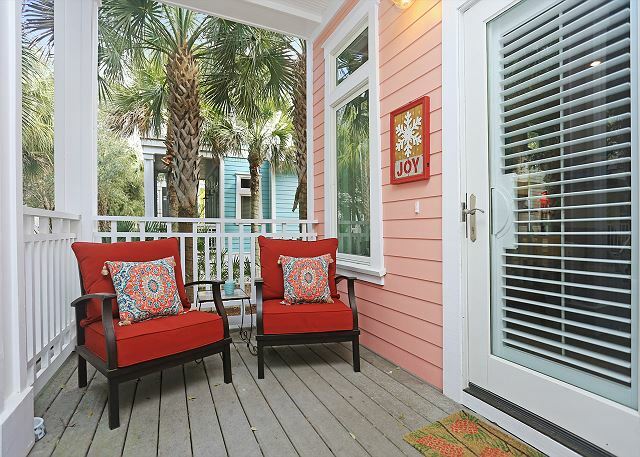 Before you step in to our home, sit down and relax on the front porch. 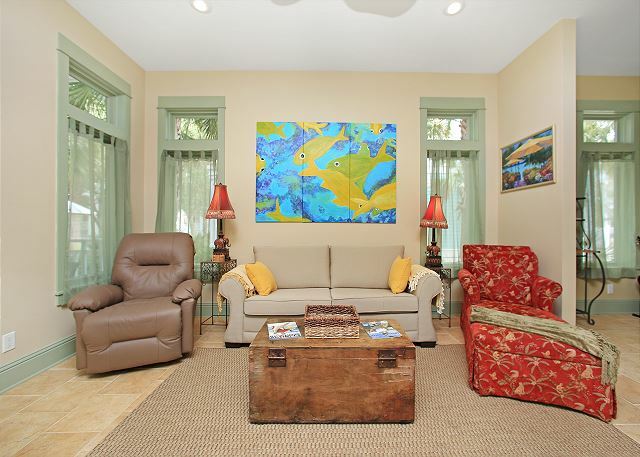 You’ll find yourself there enjoying your morning coffee or an afternoon beverage after a day at the beach or pool or coming back from one of your adventure trips on 30A or Panama City Beach. Here’s the bedding set up: 2 KINGS 1QUEENS, QUEEN SLEEPER SOFA. Plenty of room for 8! 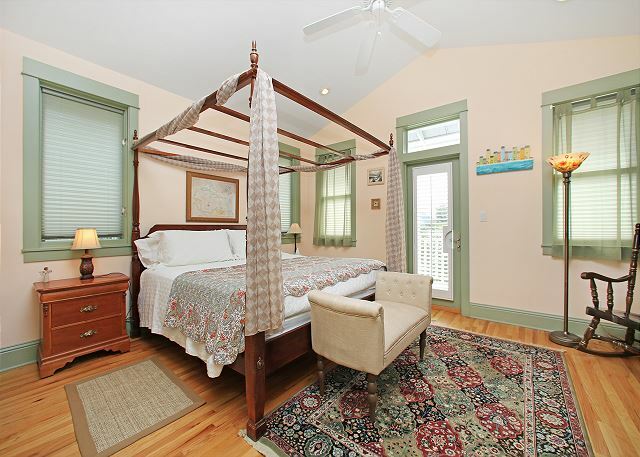 From the minute you walk in the door you’ll know this house is a special vacation spot. We’ve made this home a perfect beach place for us and our guests to enjoy. The first floor has a spacious living area with large curved flat screen TV and plenty of room for everyone to relax and enjoy. The dining area seats 7, plenty of room to grab a snack or enjoy a meal. 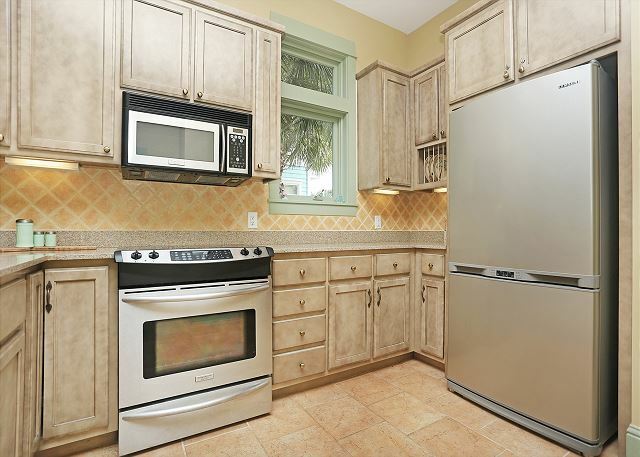 The full-size kitchen has granite counters and stainless steel appliances. 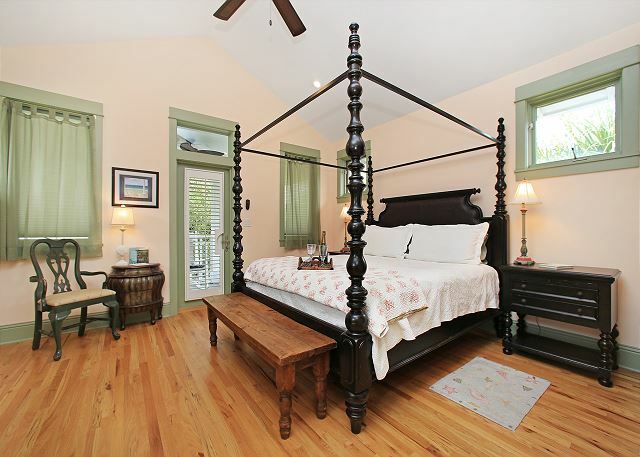 The master bedroom on the first floor offers a comfortable queen bed, plenty of closet space, and a big flat screen TV. The downstairs bath has a tub shower combination. 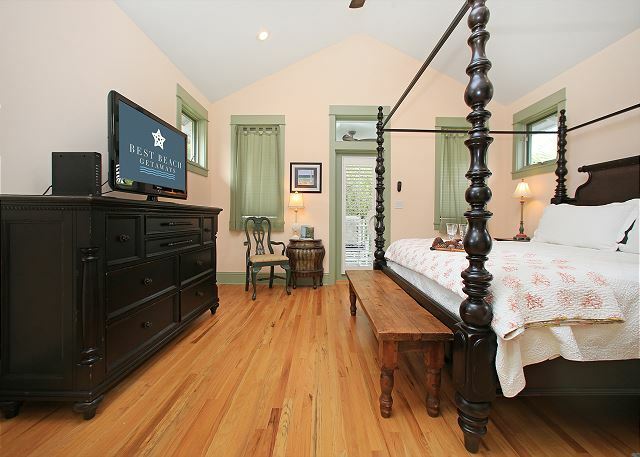 The second floor has the second and third bedrooms, each with QUEEN beds, closet space, flat screen TV and their own baths with tub/shower combinations. 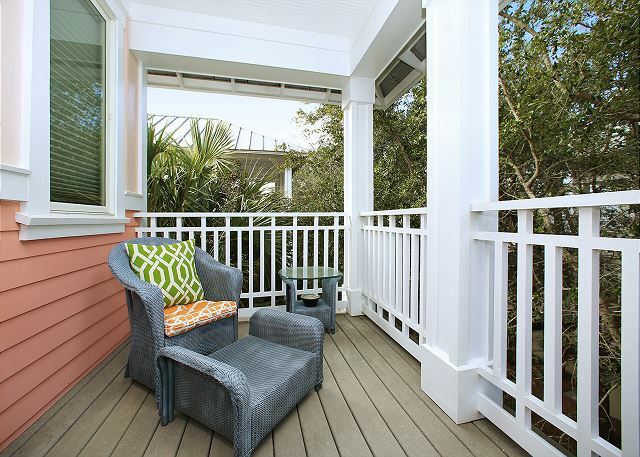 Plus enjoy the balcony where gulf views are a ready reminder of why you’re here. 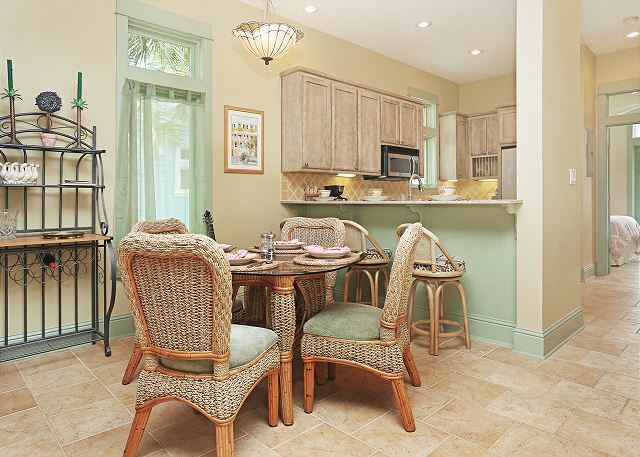 The SANDY JOY Beach Home is made to welcome families who are looking for a memorable beach vacation. Bring yours here and you’ll build a lifetime of memories at the beach. 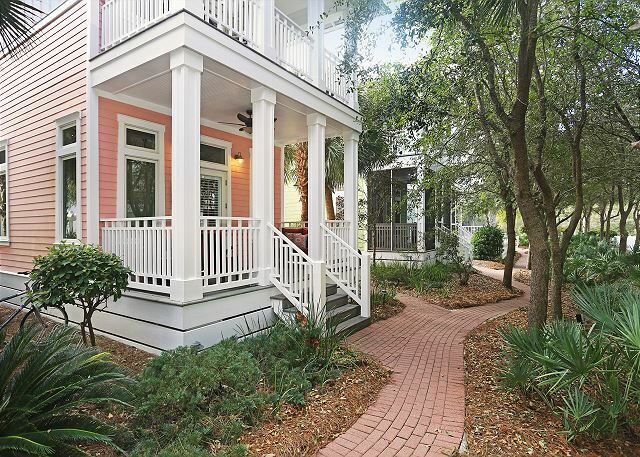 Or head to 30A where the beach communities offer you a different shopping and dining experience along the way. Bring your paddle board so you can enjoy places like Eastern Lake or grab your golf clubs and play a round at the Camp Creek country club. As you can tell, Sandy Joy puts you right in the middle of everything your family could want in their beach vacation. 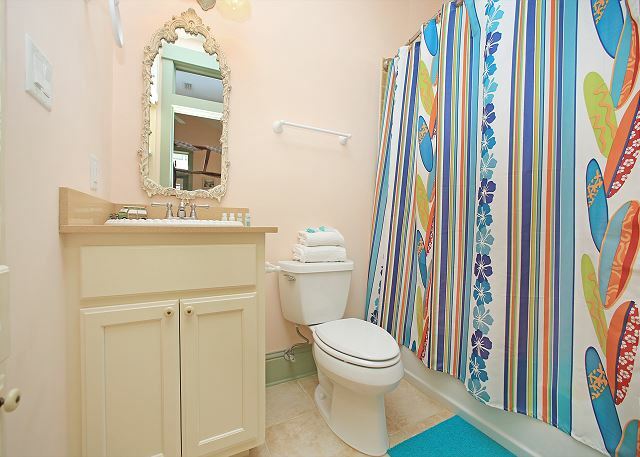 If you like what you see, call us today. 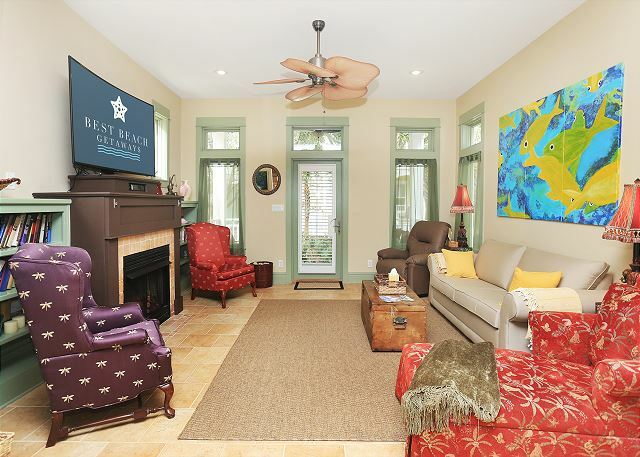 This beach home tends to book up no matter what the season.